Accelerate your innovation with Argonne Design Works’ concierge-like approach to guide you through the use of the world’s best R&D tools and put you in collaboration with experts in more than a dozen disciplines. Recognizing the power of complex science and computer modeling and seeking to accelerate its impact on various industries, the U.S. Department of Energy’s Argonne National Laboratory has created a new collaborative center known as Argonne Design Works (ADW). Accessing the full potential of Argonne’s resources, ADW offers a liaison that can navigate the complete spectrum of the laboratory’s capabilities, cutting across all the diverse scientific fields represented at Argonne. This concierge approach will help industry benefit from access to cutting-edge facilities beyond the research budgets of most firms. It is time to recognize the revolutionary potential of government laboratories. 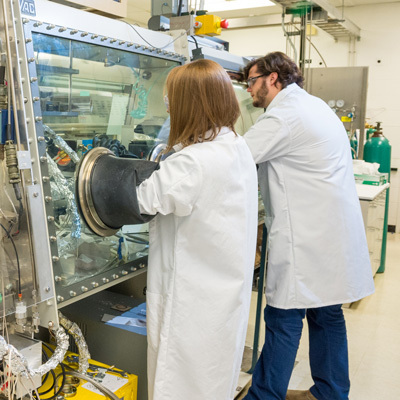 ADW provides customized access to fundamental research that can address industry’s most enduring R&D challenges, as well as discovery science conducted at Argonne that is already poised for development into practical products. The chance to build on existing scientific discovery, as well as pioneer new discoveries, offers unique opportunities for businesses seeking to innovate with complex technologies. ADW will help speed discoveries to market, ensuring U.S. industry maintains a lead in the global technology race. Firms of more than 10,000 employees now account for just half of company-funded domestic R&D. 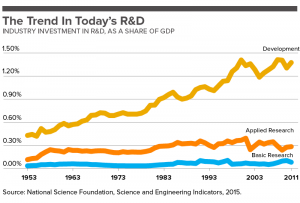 As a result, investment in fundamental research often falls on the shoulders of small- and medium-sized businesses. ADW provides an invaluable resource—leveraging Argonne’s expertise and world-class facilities—for these enterprises, as well as larger firms. In this way, the center will empower American industry to continue leading the world in nano discovery while providing the high-tech jobs critical to the nation’s economic prosperity. 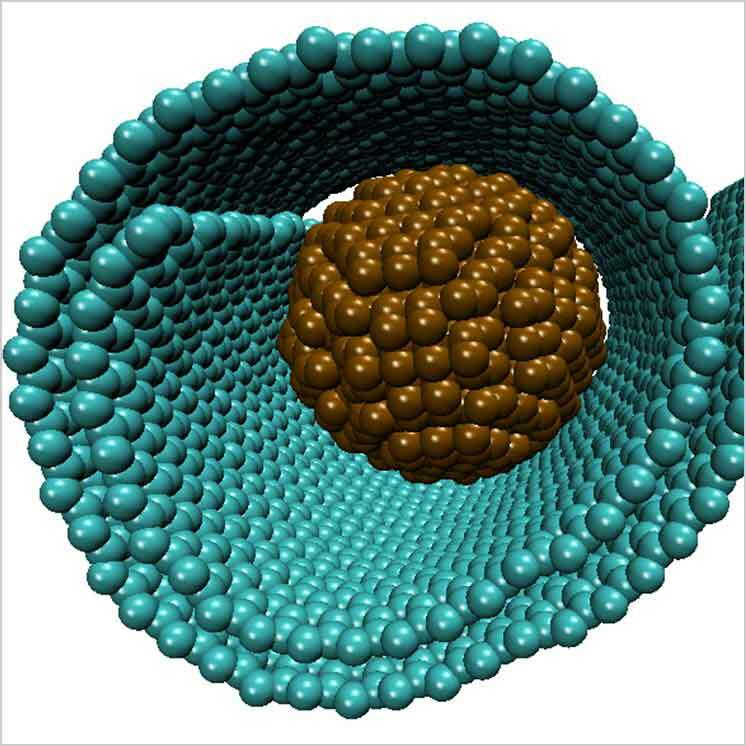 Innovation and commercialization require an enhanced understanding of materials from the nanoscale to the macroscale. Argonne has the expertise to fully comprehend the function of materials in three key areas, allowing businesses to effectively translate the power of fundamental R&D into impactful products. ADW provides a pathway to three critical areas. 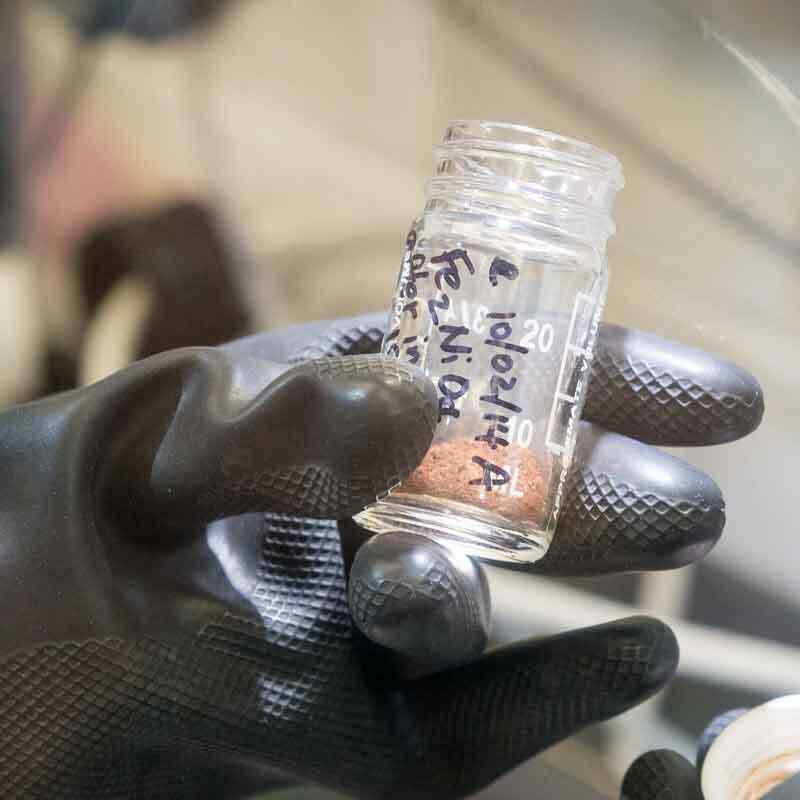 For optimal performance, materials may need to be modified, or novel nanomaterials created. 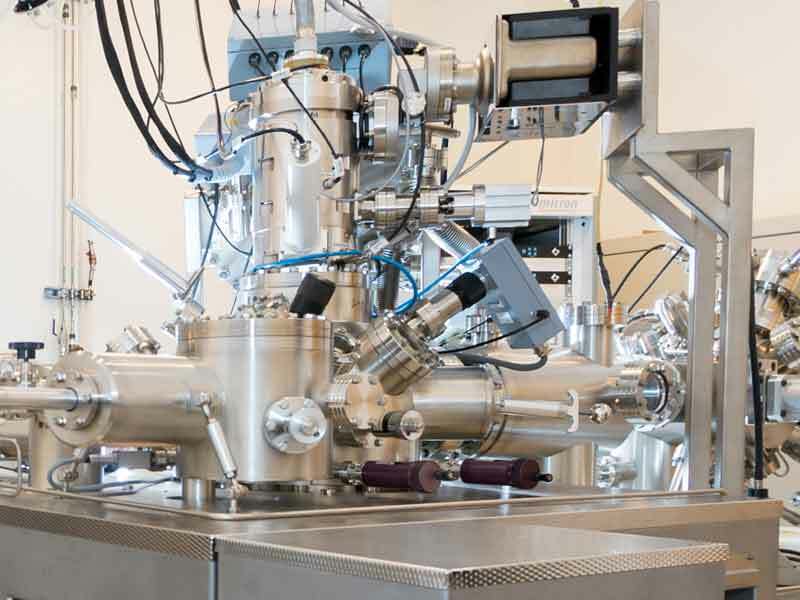 The laboratory’s thin-film deposition, material synthesis, and semiconductor processing tools, along with Argonne’s fully equipped clean room, can help industrial partners customize or create materials unique to their needs. 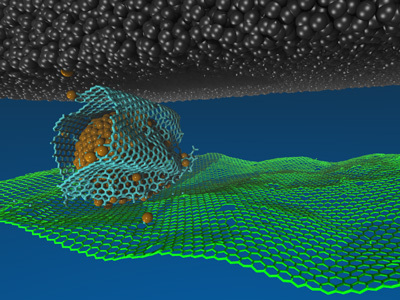 Determining defects, discerning composition and structure, and observing interfaces at the nanoscale are challenges that require sophisticated tools. Argonne’s Advanced Photon Source and electron and scanning probe microscopy capabilities make achieving this vital insight a reality. Developing predictive models saves valuable time translating fundamental research into marketplace adoption. This is critical to both understanding and fabricating novel materials. The laboratory’s unparalleled expertise in modeling and simulation, coupled with the Argonne Leadership Computing Facility, creates the perfect environment for predictive model development. ADW facilitates access to some of the world’s most sophisticated scientific user facilities. 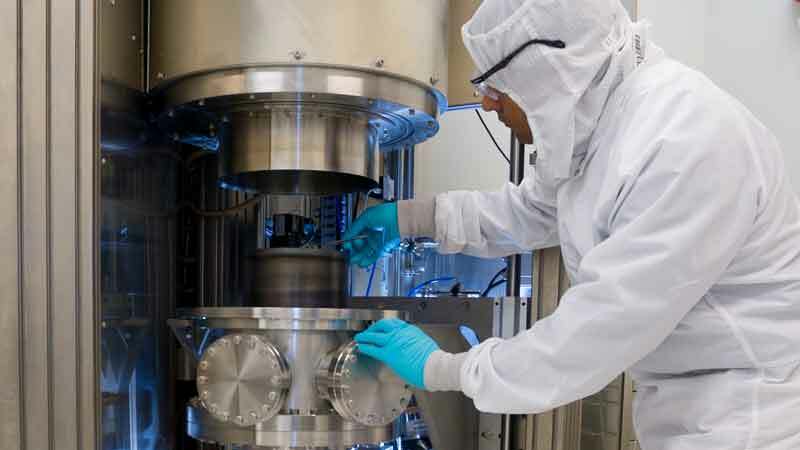 CNM provides expertise, instruments, and infrastructure for interdisciplinary nanoscience and nanotechnology research to generate scientific insights, create innovative materials with unique functionality, and contribute significantly to energy-related research and development programs. Three critical pillars underpin this effort in the areas of materials discovery, manipulation, and visualization. 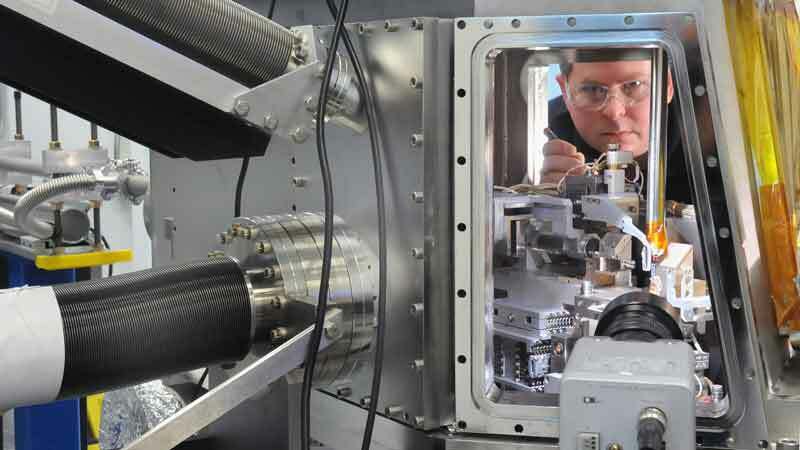 APS provides the brightest storage ring-generated X-ray beams in the Western Hemisphere for research in materials science, chemistry, biology, physics, earth and planetary science, and environmental science. ALCF is half of the leadership computing facility supported by the U.S. Department of Energy, and is home to Mira, the fifth-fastest supercomputer in the world. ALCF staff provides expertise and assistance, supporting user projects to achieve top performance of applications, and maximizing benefits from computing resources. ADW paves the way for access to Argonne’s broad range of scientific expertise across the laboratory’s research portfolio, which includes modeling and simulation, X-ray imaging, chemical science, materials, and energy systems. Argonne researchers are studying how diamond and graphene “nanoscrolls” can nearly eliminate friction caused by moving parts in machinery. Argonne scientists developed a new material known as magnetic nanofibers that can lead to breakthrough applications in a wide range of scientific fields. 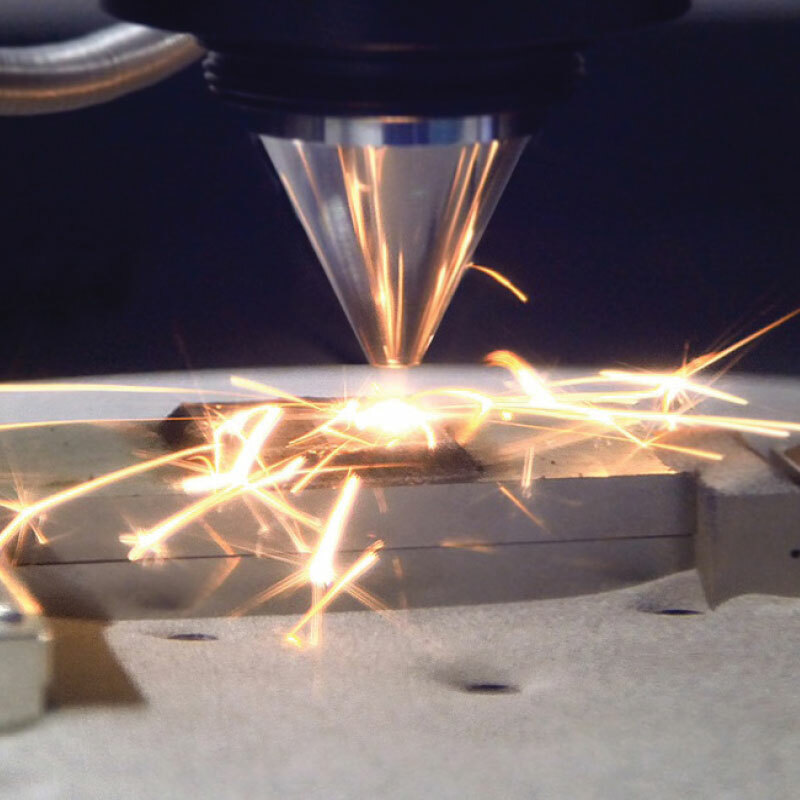 Argonne provides a multi-disciplinary approach to solving the challenges of metal additive manufacturing from pre- to post-deposition. ADW assembles the right combination of talent and instrumentation for each partner to match the company’s nanoscience needs. 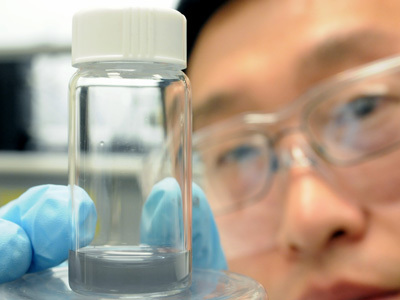 Argonne’s massive resources ensure the most rapid route to discovery on time and on budget. ADW’s unique collaborative framework will be instrumental to innovation’s journey from the laboratory to the marketplace. Argonne works with industry partners to solve their enduring R&D challenges, identify commercialization opportunities, license new technologies, and introduce transformational discoveries to the marketplace. Project scale and duration is flexible, ranging from single-day solutions to multi-year investigations. Argonne offers multiple avenues for collaborating with outside groups to accommodate both small and large firms. Licensing and contractual agreements vary based on the particular situation. We will work with you to meet specific needs, including addressing intellectual property concerns. Additional information on how to work with Argonne is available from Argonne’s Technology Development and Commercialization Division.